CLEW’s platform harnesses vast amounts of clinical and patient data to deliver highly accurate predictive clinical analytics. CLEW’s analytics engine identifies relationships between real-time physiological data and latent medical conditions, recognizing – in real-time – any changes in the patient’s condition that may indicate the possibility of life-threatening situations. The platform utilizes innovative prediction models derived from Big Data analysis and advanced high-dimensional analytics, to provide hospital management and medical personnel with the preemptive information they require to better manage their resources. Medical data is dynamic, unstructured and inconsistent. The CLEW platform collects a broad range of patient data and prepares it for analysis. 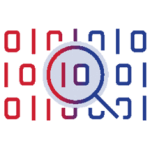 Real-time data can be ingested either through periodic direct querying of the SQL DB of the electronic health record (EHR), or by receiving real-time HL7 messages from the Hospital’s Interface Engine. CLEW’s data processing capabilities ensure that real-time data feeds are stable, reliable, continuous and supply the maximum range of data elements. 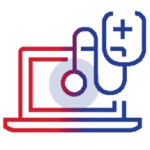 Deployed as a standalone app or integrated into an existing solution, the platform continuously processes a wide range of clinical data, including the patient’s medical background from the EHR, prior hospitalizations, vital signs, laboratory results, medications and procedures. Prediction models are developed utilizing large retrospective ICU data sets. The data is then processed at the analytics layer, performing further transformations, statistics and analysis, including formulating medical knowledge to expand the feature set. The features include primary concepts and derived concepts. Following the feature generation, prediction models are developed using advanced machine learning techniques. These features are used for the learning process and result in optimized models. Model development is performed continuously and newly developed and tested models are delivered to the installed systems. 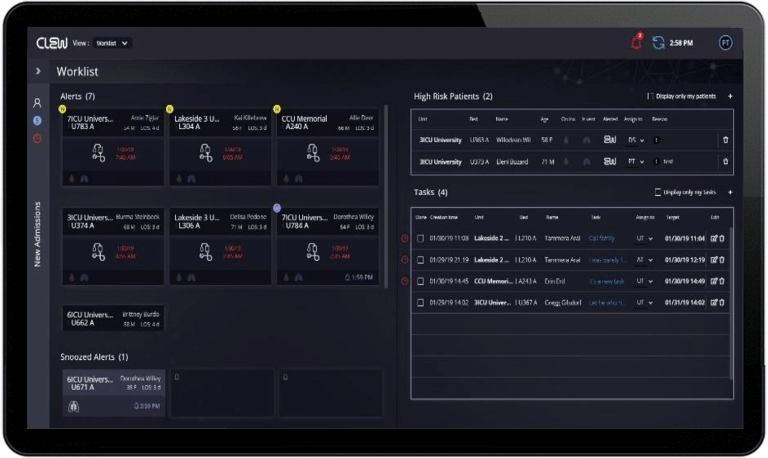 The prediction service runs in real time, taking into account each patient’s relevant and available data elements to deliver specific deterioration probability. The prediction service runs over multiple models and creates various predictions for different complications. Once installed on site, CLEW constantly receives feeds of real-time patient data. The data is ingested into the system, cleaned and normalized. 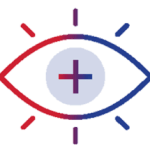 CLEW uses the existing models that were created in the off-line system in order to deliver near real-time predictions and alerts for the clinical state of the patient. Alerts are displayed to the clinicians, and workflows are developed as needed to support the alerts. CLEW provides information about patients’ expected deteriorations as well as a designated platform to support the clinical workflow. The deterioration probability is calculated in near real time for each patient using pre-developed models for various deterioration types. As CLEW models were created using sophisticated analytics and machine learning, the system dramatically reduces false and irrelevant alerts. 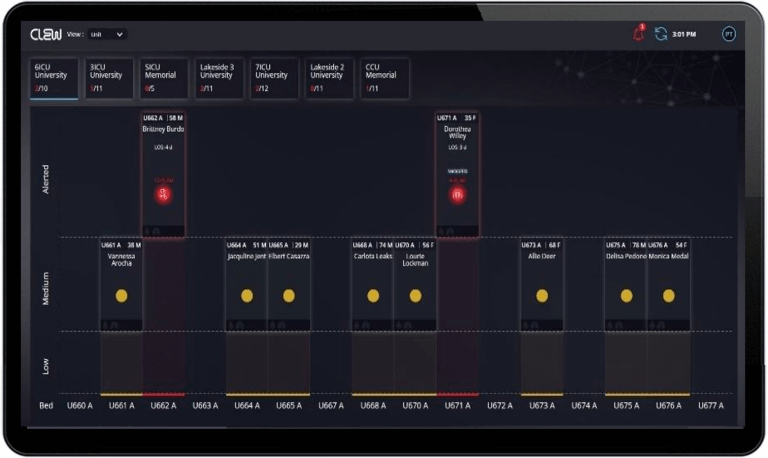 The unit view provides the clinical team with a specific view of each unit, displaying data on all patients within the unit (alerted and non-alerted). This view provides the clinical and the management team with a high-level view of the unit acuity and patient-specific statuses and alerts. To support and optimize the clinical workflow, CLEW provides a designated UI that allows the user to react to alerts, manage tasks, mark high risk patients, and summarize new admissions.